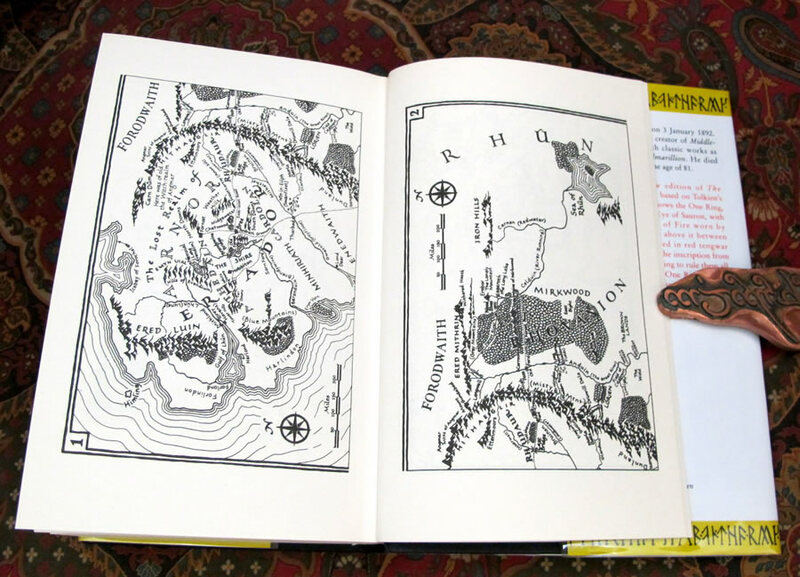 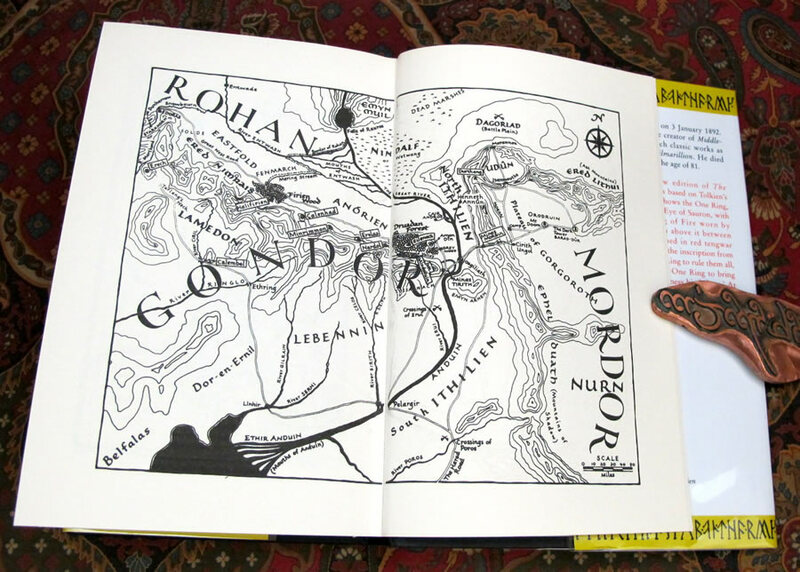 This set features one of the unused drafts of Tolkien artwork for the dustjackets. 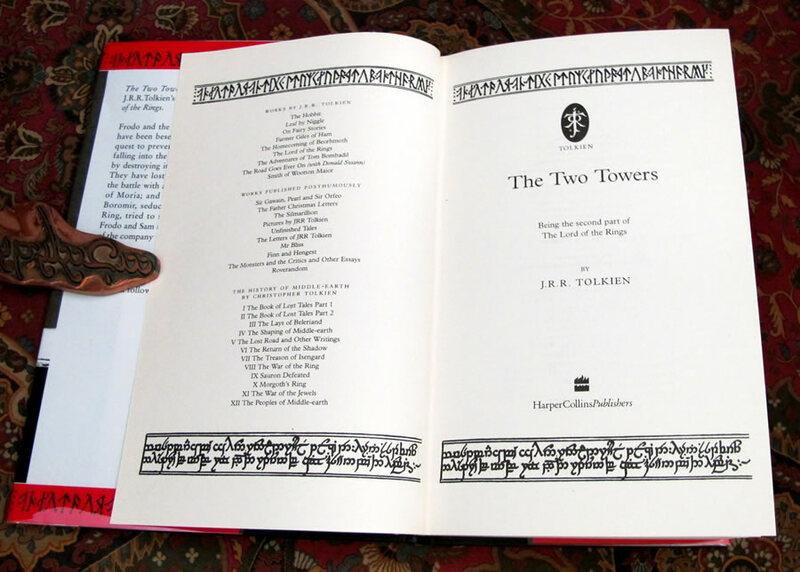 The publisher's slipcase features two early line drawings of the 'Two Towers' in silver on a black background. 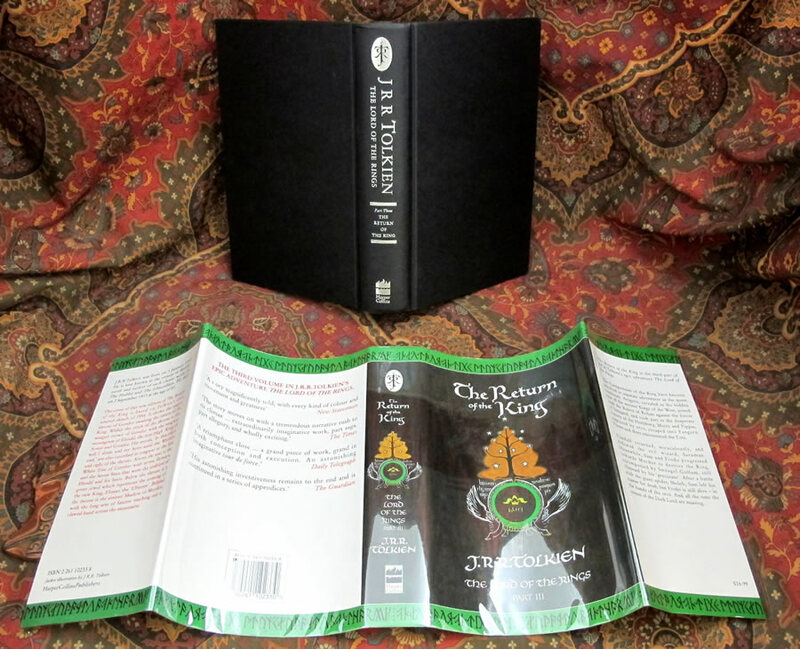 This set of books is in Near Fine condition with the slipcase in Very Good Plus condition with a few bumps and scrapes to the edges. 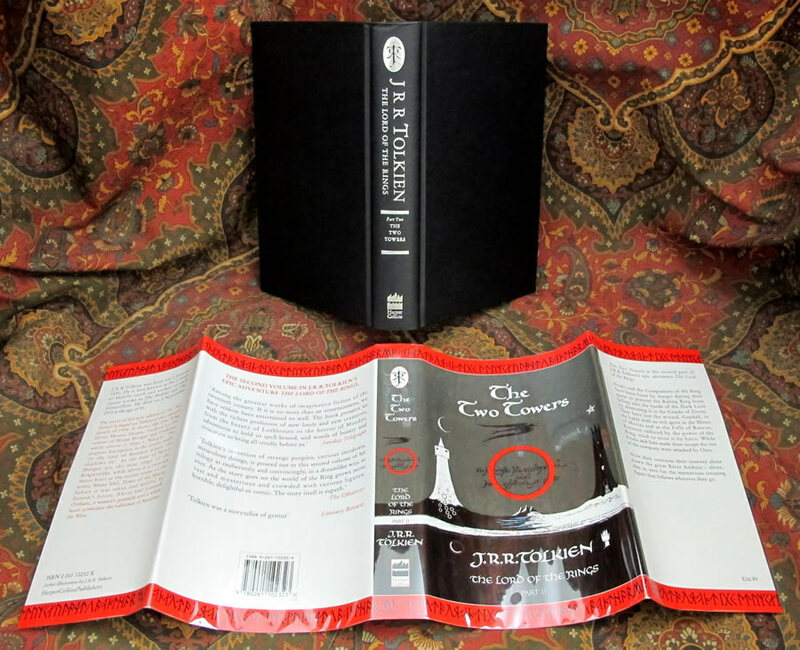 The slipcase shows some minor repairs to the top and bottom edges, and some archival tape reinforcement to the interior joints. 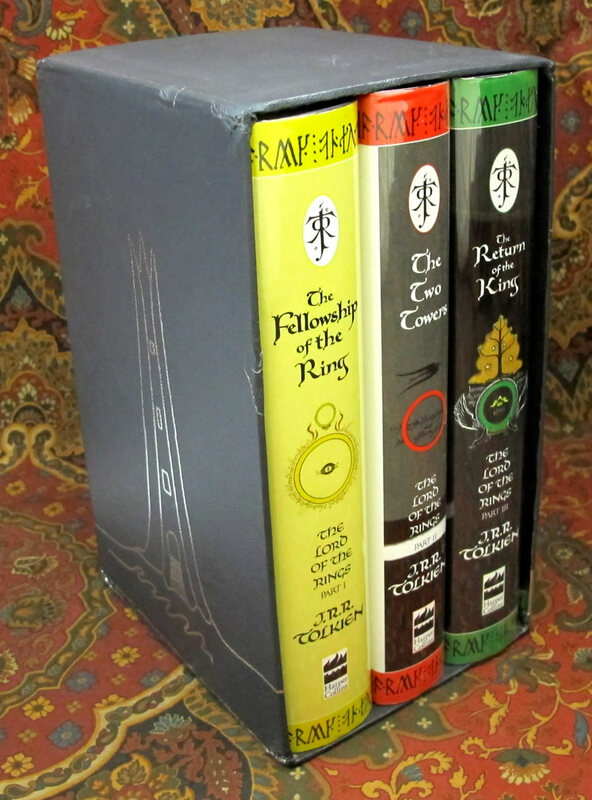 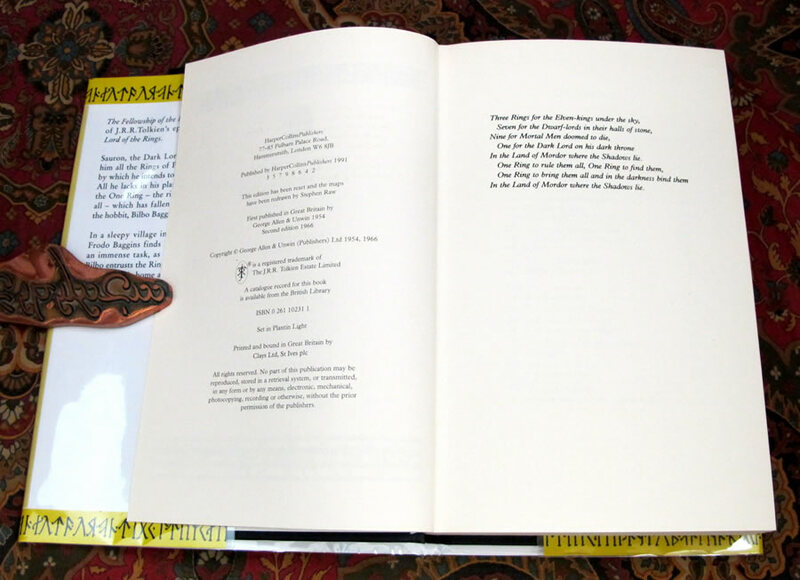 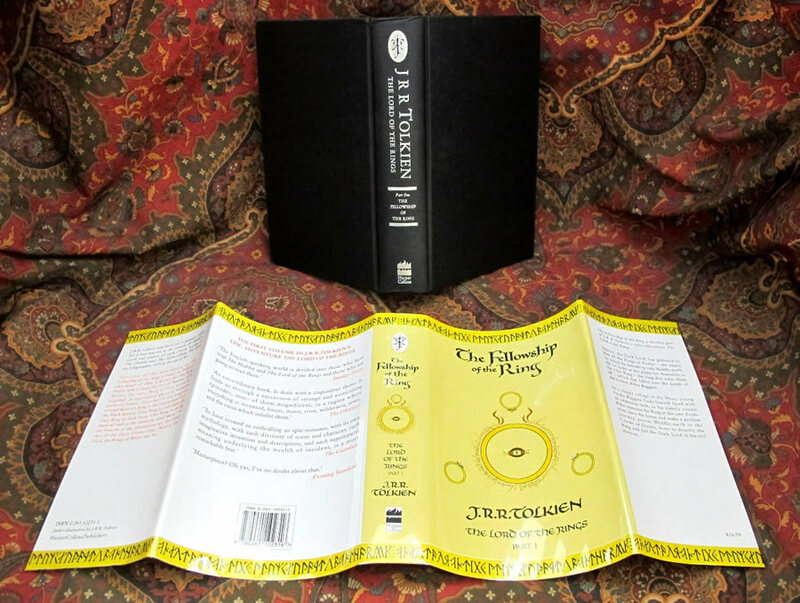 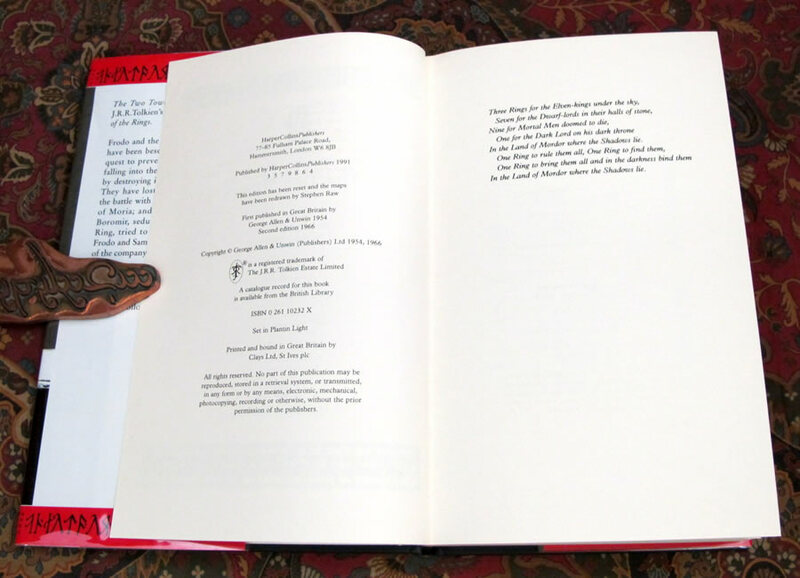 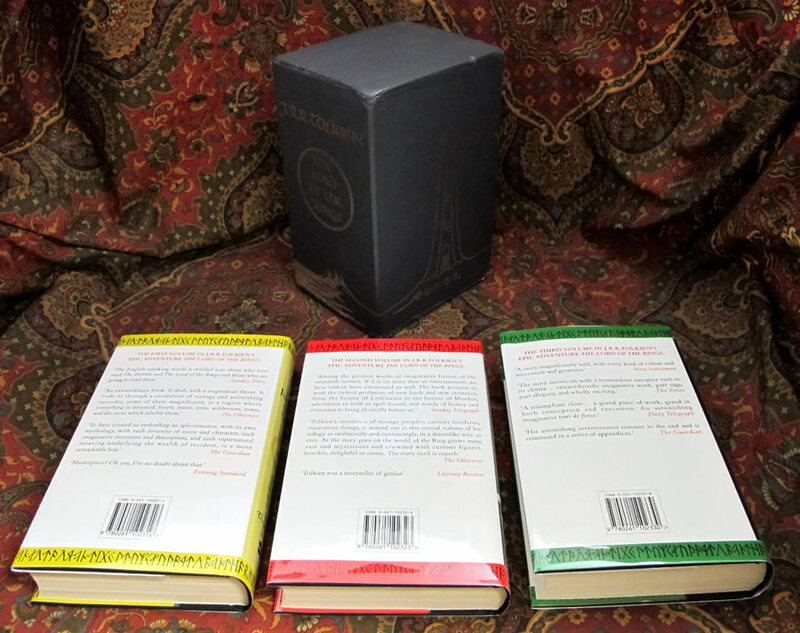 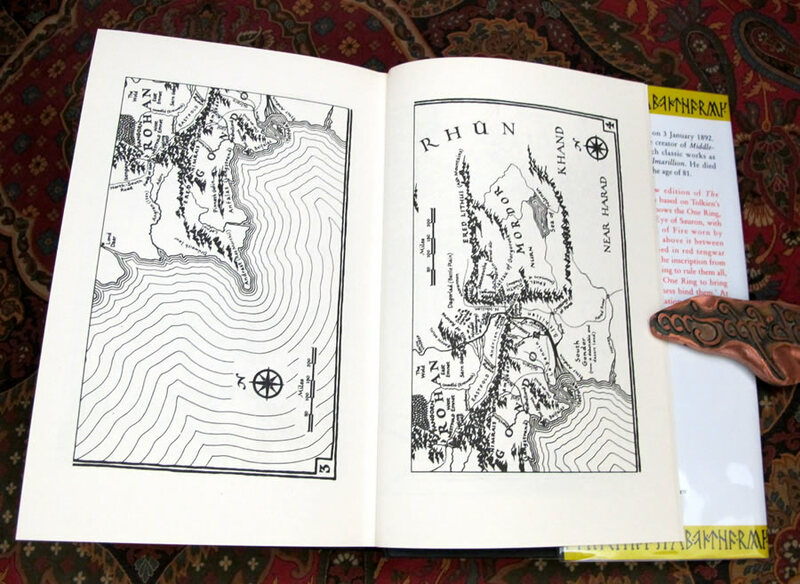 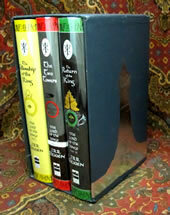 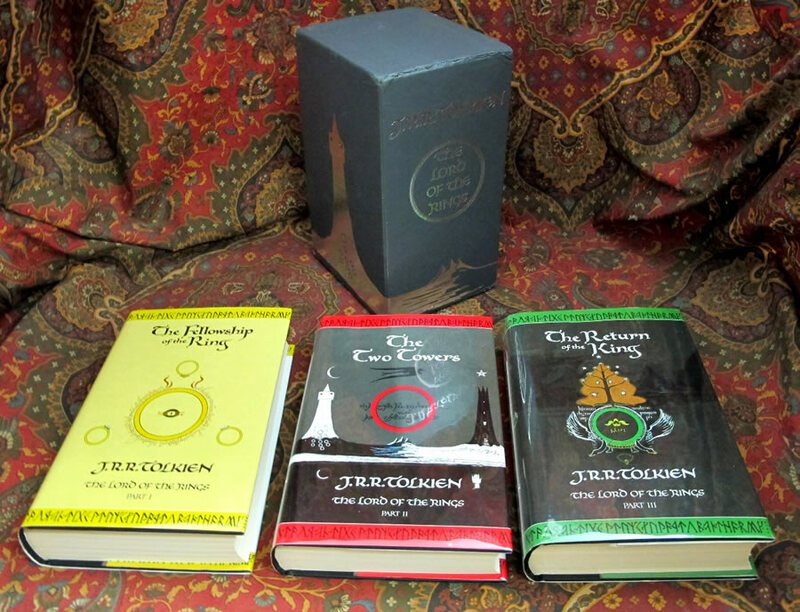 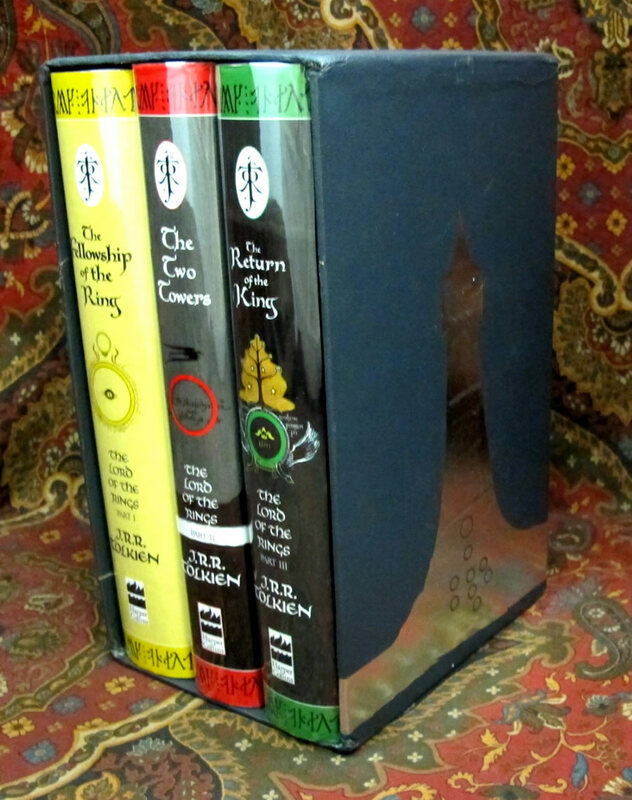 A later 2nd edition set, with the Fellowship being a 2nd impression, the Two Towers being a 3rd impression, and The Return of the King being a 2nd impression of this edition. 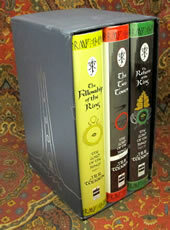 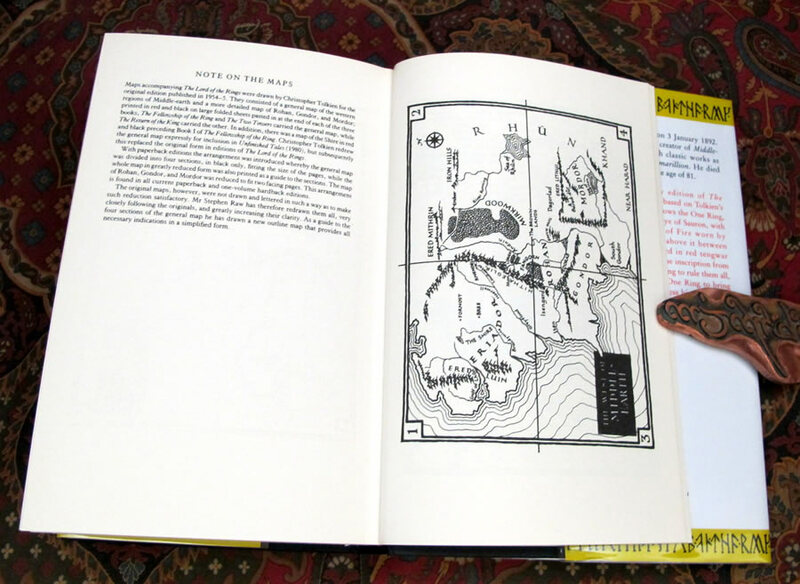 These books feature some of the early drafts of the artwork, by the author, for the original dustjackets of the 1st Editions that were not used. 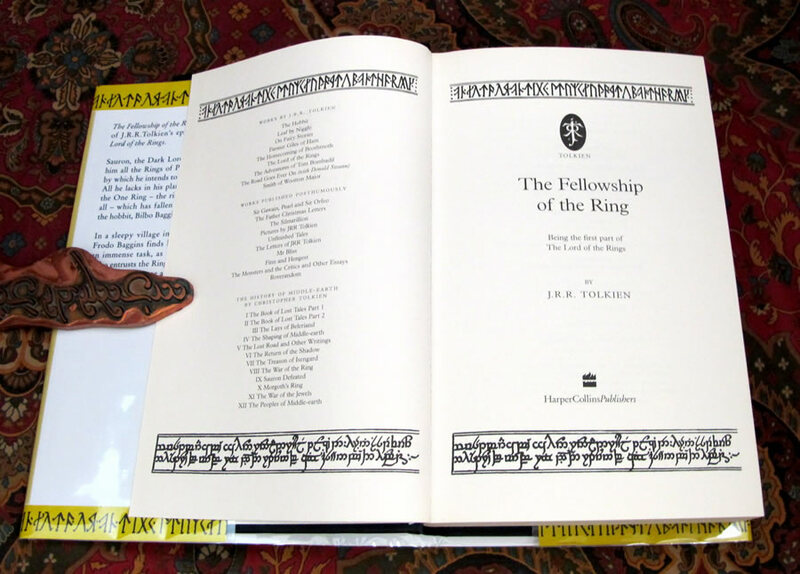 No previous owners names or any marks to the books.